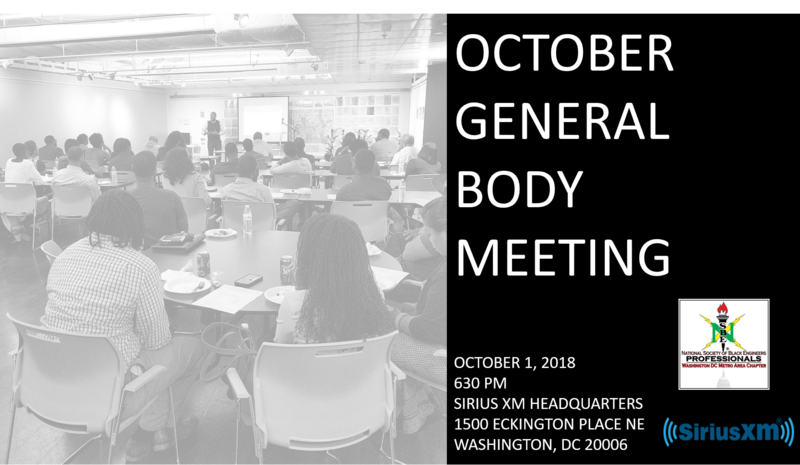 Join NSBE DC for our October GBM as we will be back at Sirius XM. At this meeting we will introduce our first installment of the Speaker Series, which will allow members to give short talks about their work so you can learn more about what your fellow members are doing! There will also be opportunities to learn more about committees and sign up for the ones you are interested in. Afterwards we will walk over to Wicked Bloom for post-meeting relaxation! Please register by Monday October 1st at 2 pm to ensure entrance into the building and that you can park your car at the facility. NoMa on the Red Line is the nearest Metro Station.